After defeating Proscuitto and Pesci, Bucciarati and the others head to Venice in a car. 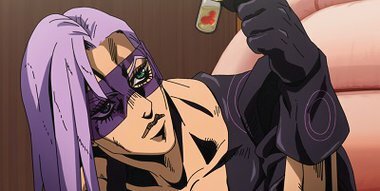 Melone from the Hitman Team finds some of Bucciarati's blood at the scene where the train had stopped and then activates Baby Face. The powerful remote-control Stand created by assaulting a woman on the train then goes after Bucciarati.